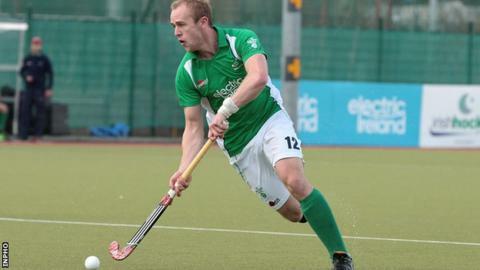 Ireland fell to a narrow 3-2 by hosts India at the World League 2 tournament in New Delhi on Thursday. India took the lead in the 16th minute when Rupinder converted India's fourth penalty corner of the game but Conor Harte equalised 10 minutes. In the second half, India again proved deadly from penalty corners as Raghunath stuck past David Harte. Eugene Magee converted a penalty corner for 2-2 before Dharamvir Singh's superb backhand shot have India victory. Ireland pushed hard for a third equaliser which would have taken the game to penalty strokes. With seconds left, Conor Harte and Shane O'Donohue had chances to convert Ireland's last two penalty corners of the game but neither found the target. Ireland play Oman on Saturday before the likely crunch game against China on Sunday in the race to finish second in the group. Ireland are second in the table, level with China and Bangladesh while India are three points clear.